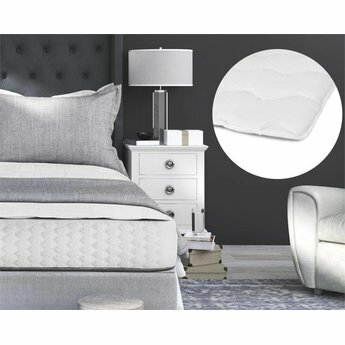 Many people choose for a topper for extra comfort which makes you sleep better and more comfortable, it prolongs the life of your underlying mattresses, absorbs moisture and dirt and you have (provided you have 2 separate 1-person mattresses underneath) no more trouble of a seam in the middle! This topper is filled with 100% microdons with 400 gr / m2. The ticking consists of 100% micropercal which satin is woven. 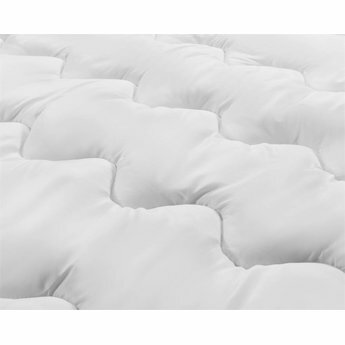 The cover is an important part of the topper, the cover is the outside of the mattress which ensures that the filling can not escape. 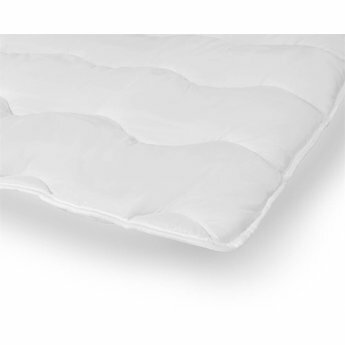 This topper is anti-allergenic and anti-dust mite. House dust mites, moisture and bacteria in the home can cause lung infections such as asthma, allergies and ear, nose and throat infections; that is why this topper is also suitable for people with respiratory problems. 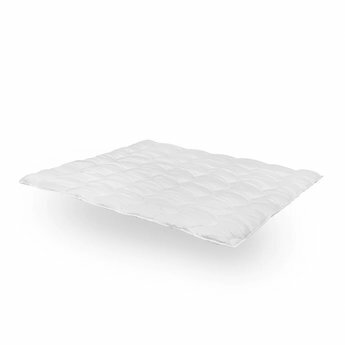 This top is equipped with 4 elastic bands that you can attach to your underlying mattress, so the topper can not slip and you can continue to enjoy your well-deserved night's rest.